Photographers take great care to show their photos at there best, and would never think of letting you see a raw unfinished photo. What's the difference between a snapshot and a masterpiece? Sometimes it's just the ability to see the picture in the picture. Of course, I'm talking about the controversial practice of photo cropping. Cropping photos is one of those subjects that seems to divide photographers into two hostile factions — those who think you should frame your scene perfectly in camera, and those who are of the mindset that the picture you capture is merely a starting point. I tend to fall into the latter group. Cropping can’t necessarily make a bad photo good, but like other post-processing techniques, it can turn a good photo into something great. Here’s a typical example on why you would want to crop your image. 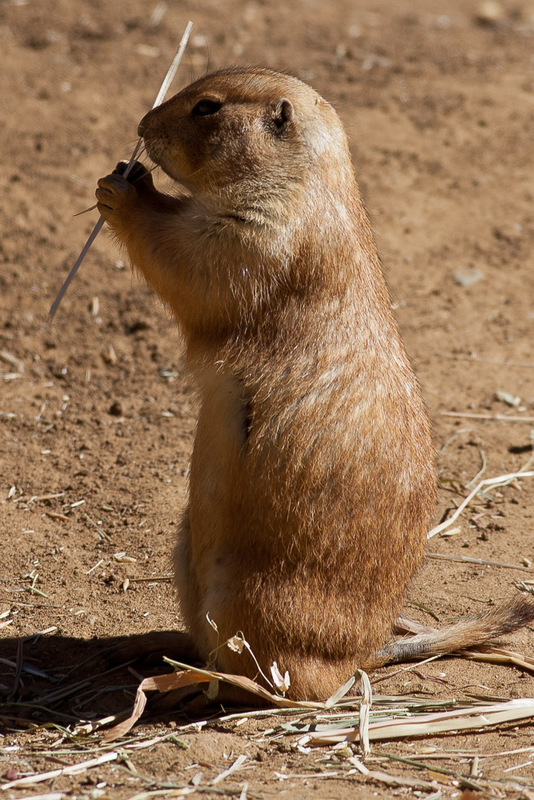 Here we have a picture of a ground squirrel or prairie dog (not sure) taken at a local zoo. Here the photographer was obviously restricted on how close to they could get to the subject and not having a longer lens available, this is the best shot they could take given the circumstances. After carefully examining the photo I was able to see that this photo would be possibly worth saving. The perfect tool in this situation would of course be the crop tool here I could isolate the subject and therefore create a more interesting photo. I think you’ll agree that this crop does justice to the original photograph. The crop actually does two things first off it actually allowed us to change the aspect ratio of the photograph we have gone from landscape to portrait. Secondly by cropping we were able to zoom in on our subject therefore making for a much more interesting photo. By carefully examining the photo we were able to find the picture within a picture. As you can see both photographs tell a different story the un-cropped version shows the ground squirrel and it’s a natural environment and gives a more environmental story. 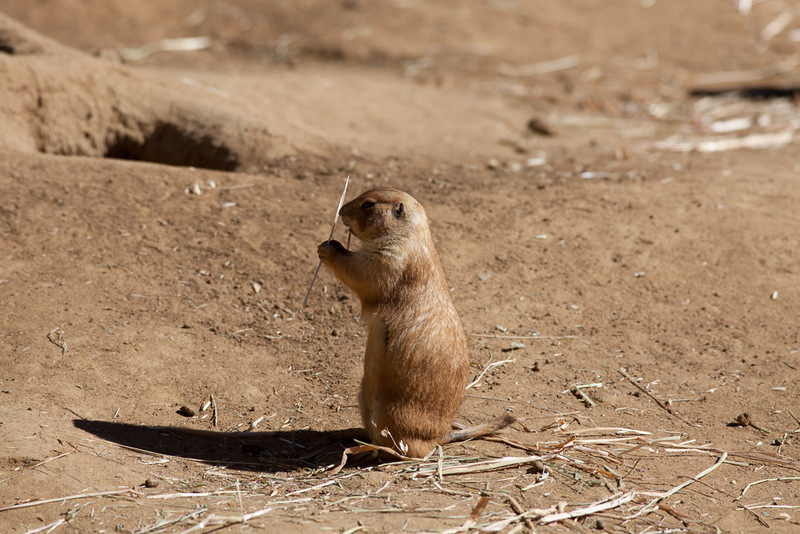 While the cropped version isolates the ground squirrel and brings us in to the details. Each photograph tells a different story. Which is the correct story that’s up for you to decide. When I decided to write this article, I immediately ran through my photo collection looking for the worst possible photograph that I could find, just to illiterate that even a bad photo can be cropped into a good one. There's not much right about this photograph, but we can still save it. Let's see, the background is terrible, the left side is dark and under exposed, the right side is just plain boring. The door frame molding is coming directly off my brothers head, I also have a casted shadow onto the background.. What was I thinking! I wasn't.. I was a normal everyday person, taking a quick snapshot of my brother before he left for LA. Well, when you think about it.. isn't this a typical snapshot we take all the time? Sure it is.. So let's look at this picture and find the picture in the picture. Look at my brother's natural pose, and great smile. This is a candid for a portrait. Yep! I think I'll crop this photo from a landscape mode to portrait. Of course, we could stop here, but I was still bothered by that background, even though the picture cropped is a vast improvement already. I decided to go one step further and remove the background using photoshop. There we are! An everyday snapshot turned into a masterpiece suitable for framing.. :-) Not really.. LOL.. But it was to show you how far you go to save a photo. So to sum things up, cropping photos can really amplify your storytelling ability, particularly when your subjects are people or animals. Using the cropping tool can help you convey the message that you want and help evoke the emotions you want from the viewer. Moreover, cropping a photo can help you get the composition you want even if you're not able to at the time of taking the shot. Cropping can help you turn average photos into great ones. Older PostWant more interesting photos? Give them a twist!